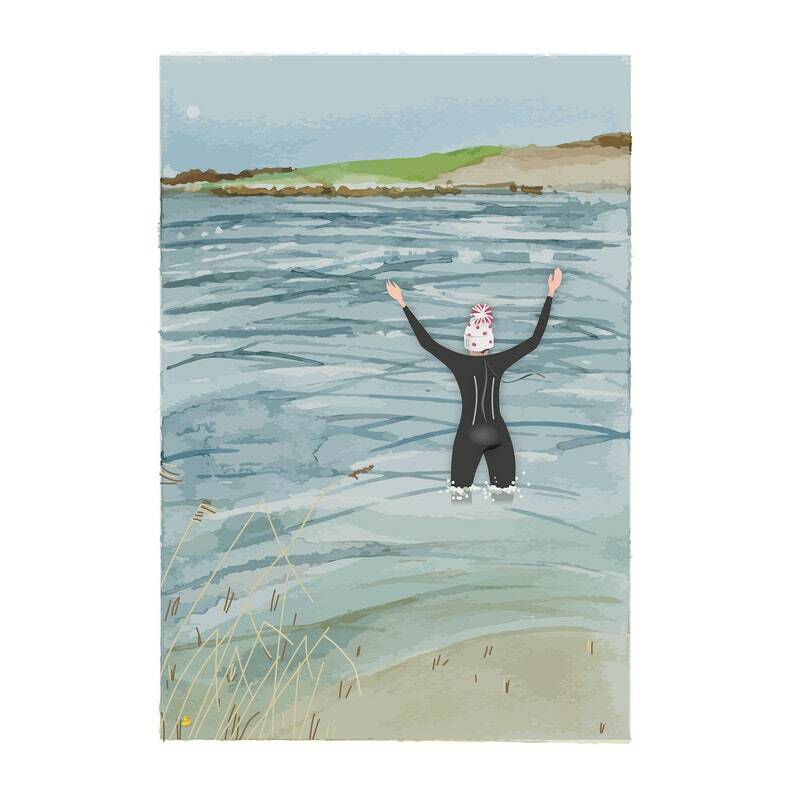 The subject is a fun look at that feeling you get when you get in the water – especially in the winter when the water is almost freezing! It's an amazing euphoric feeling of happiness and freedom. If you're a cold water swimmer, you'll get it immediately.